Thank you for supporting the Great Bear Foundation in our work to protect bears and their habitats world-wide, through education and on-the-ground projects. Your continued support will help us to work with communities to prevent human-bear conflict, to provide high quality educational programs to schools and community groups, and to keep the public informed on important issues in bear conservation and ways to take action. >>Become a member! GBF is a member-supported organization, with membership levels for all budgets. Membership contributions are tax-deductible within the US to the full extent of the law. Be part of the GBF team! >>Bears & Apples organizes volunteers to pick fruit in residential areas, reducing bear attractants to prevent human-bear conflict, and distributing locally grown fruit to the community. Make a donation to help keep this program running strong, or contribute supplies for the project–we are always in need of ladders, orchard poles, and materials for our cider press. >>Bear Basics provides high quality educational programs free of charge to schools and communities in western Montana and Haines, Alaska. We’re happy to travel further for programs, but will need help with travel expenses. Your contribution can help us deliver more programs to children and communities! >>Walking Bear Comes Home: The life and work of Charles Jonkel is a documentary film we are making with Salish Kootenai College Media on GBF president and co-founder, Dr. Charles Jonkel, and his historic contributions to bear biology and conservation. The film is in the editing stages, and your contribution can help us with production costs. Click here to see the film trailer. >>Enroll in a field course! 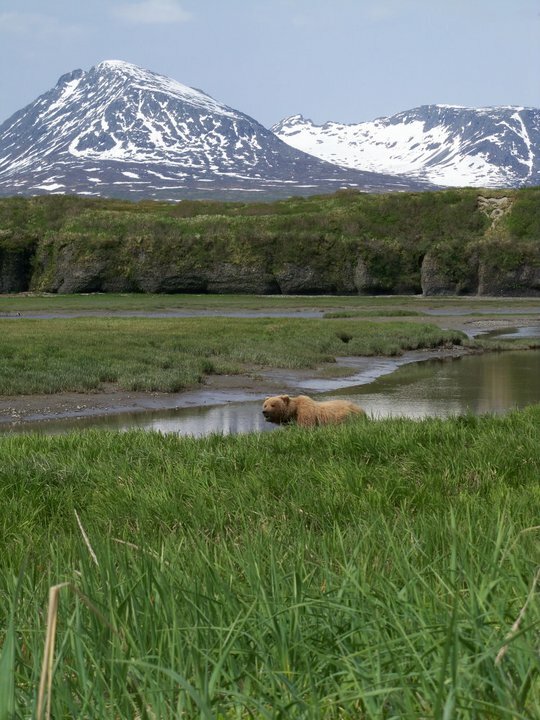 Our bear ecology field courses offer a high quality educational experience observing bears in their natural habitat. Participants learn the basics of bear behavior and ecology, while exploring their habitats, learning to recognize bear sign, and learning about the natural and cultural history of the area, while also learning how to explore bear country with minimal impact on the animals and their habitat. All proceeds from our field courses directly fund our bear conservation projects. >>Polar Bear Ecology Field Course Join us in November as we travel to Churchill, Manitoba to observe the annual polar bear migration on the shores of Hudson Bay. Learn about polar bears in their natural environment, while also learning about the natural and cultural history of Hudson Bay, the numerous threats to polar bears and their habitat, and what you can do to help. >>Berries, Belugas, and Bears Visit Hudson Bay with us in August, when the belugas calve in the Churchill River, the tundra comes alive with berries and wildflowers, nights get dark enough to see the aurora, and we can usually find a few polar bears dispersed across the landscape. 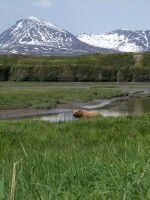 >>Chilkoot River Bear Ecology Visit our northern location in Haines, Alaska to learn about the salmon-bear connection. Our custom, small group field courses offer the opportunity to watch Alaskan brown bears fish for salmon on the Chilkoot River. Contact us to build your custom Chilkoot River Bear Ecology program this summer or fall. Peak activity runs from late July through mid-September. >>Volunteer! The Great Bear Foundation is a volunteer-driven organization, and we owe much of our success to our volunteers. You can help out with our Bears & Apples project, educational programs, or tasks around the office. Contact us to join our volunteer team in Missoula, Montana or Haines, Alaska! Thank you for helping to make 2013 a successful year for bear conservation. We look forward to your continued support in 2014!